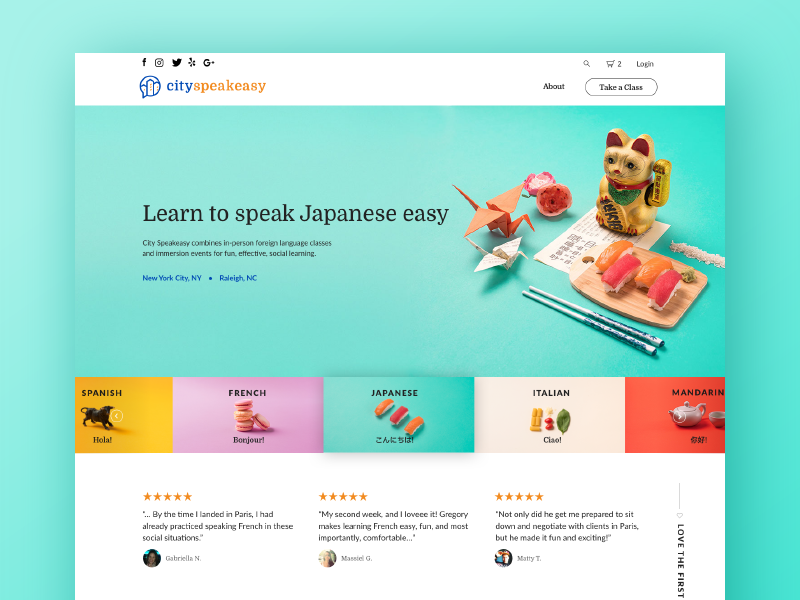 Home page design for CitySpeakeasy, a foreign language immersion school in NYC and Raleigh. We did custom knolled scenes for each language (huge thanks to photographer Patrick Yandoc ! ).